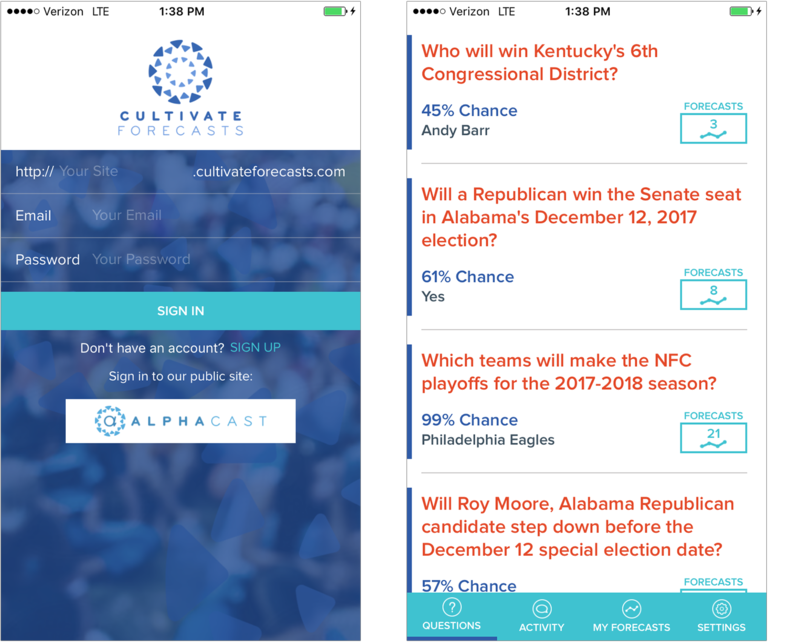 The Cultivate Forecasts mobile app is your on-the-go source to make real-time predictions in both the public prediction market, Alphacast, as well your organization's private Cultivate Forecasts site. You've always been able to make predictions on the fly, but now, new members are able to register directly in the app without having to make a trip to the website first. Easy peasy right?! Download Cultivate Forecasts on iOS and Android to get started. You might also be interested in: New to Prediction Markets? 4 Tips to Get Started.